Cover photo: “The Chaining of Orc.” Relief etching, 11.1 × 8 cm., printed in black. Photo courtesy of Sotheby’s New York. ROBERT N. ESSICK, Professor of English at the University of California, Riverside, is now co-editing, with Morris Eaves and Joseph Viscomi, a volume in the new Blake Trust series of reproductions of Blake’s illuminated books. NELSON HILTON reports that Alice Suzanne Hilton (b. 10 June 1991) seems to have negotiated merrily the “paranoid-schizoid” and with delight entered the “depressive position”: einschönes Kleines Kind. PETER OTTO teaches English at the University of Melbourne. His recent publications include Constructive Vision and Visionary Deconstruction and (with Deirdre Coleman) Imagining Romanticism: Essays on English and Australian Romanticisms. He is currently completing a book on The Four Zoas. Subscriptions are $40 for institutions, $20 for individuals. All subscriptions are by the volume (1 year, 4 issues) and begin with the summer issue. Subscription payments received after the summer issue will be applied to the 4 issues of the current volume. Foreign addresses (except Canada and Mexico) require a $6 per volume postal surcharge for surface mail, a $15 per volume surcharge for air mail delivery. U.S. currency or international money order necessary. 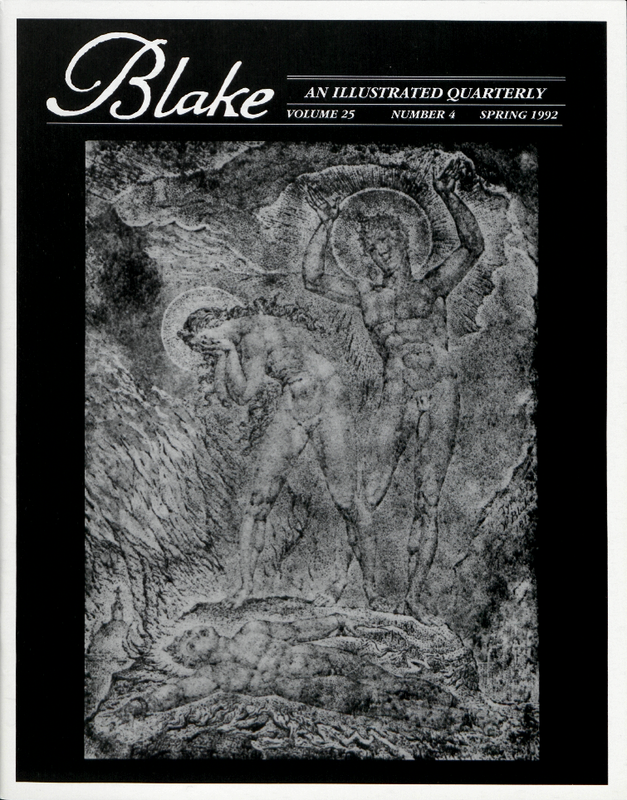 Make checks payable to Blake/An Illustrated Quarterly. Address all subscription orders and related communications to Patricia Neill, Blake, Department of English, University of Rochester, Rochester, NY 14627.